Own a motorbike shop? Then you need to make sure you have affordable but effective motorbike insurance in place. Find specialist insurance for your motorbike shop, by locating all the cover you need. You can cut the potential losses your company would face should an incident happen. We work alongside a great panel of insurers all wanting your custom. They will try to accommodate all your needs. By asking us for a quote you will not only get great value quotations from a range of insurers and brokers, but also benefit from their vast knowledge of insuring motorbike shops. Click through above and fill in a simple form to get great deals, if you have any problems, don't hesitate to contact us and we will get on the case immediately. 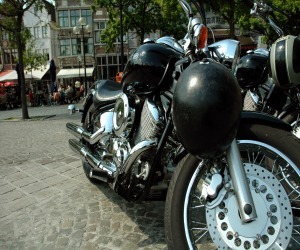 Looking to insure your motorbike shop? When your research policies you will be presented with a multitude of choices. Whilst most will cover you for your and your employees' protection and for your equipment and stock it is also very much worth considering insurance against malicious fires, broken glass and flooding amongst other risks. Commercial Property Insurance - this insurance covers your inventory and building against fire, smoke and water damage. All that can prove dear without the correct protection. You'll most likely have a large amount of expensive stock and equipment on your premises so protecting this may be paramount in ensuring the success of your business, make sure you get the most appropriate level of insurance. Public Liability Insurance - protect yourself from lawsuits by getting a public liability insurance policy which will cover your business from any injuries that a third party may receive on your premises, this may be particularly important in a motorbike shop where there are likely to be trip hazards. Product Liability Insurance - motorbikes do carry risks for those who ride them, by getting this liability insurance you are covering your business from lawsuits against yourself should a third party injure themselves on one of your products. Theft Protection - as you will have equipment that is likely to be of high value, both financially and in terms of your business model, it's important to get cover to ensure you don't suffer financial loss through theft. Get theft protection to make sure you have all the appropriate cover. A few minutes thought before committing yourself to a motorbike shop insurance policy can significantly reduce your stress levels at a later date should an incident occur, and you will not be left unsure as to whether you are fully insured or not.